After embracing a career in single-seater car championships for the past six years, Arjun Maini will represent team RLR MSport at this year's 24 Hours of Le Mans and in the European Le Mans Series as well. 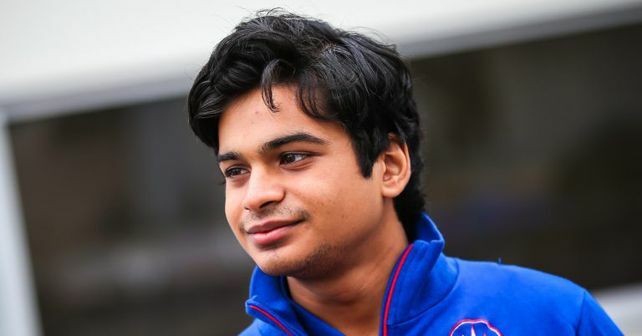 Arjun Maini is all set to kick-start his endurance racing stint this year as he will join the RLR MSport team in their much-anticipated return to the 24 Hours of Le Mans. Maini will also compete in the LMP2 Class of the European Le Mans Series (ELMS) with an ORECA 07 Prototype vehicle, which will also be driven by teammates John Farano of Canada and Brazil's Bruno Senna. Senna, due to his contractual obligations with Rebellion Racing in the LMP1 Class, will force him to relinquish his seat in the 24 Hours of Le Mans with RLR MSport. 21-year-old Maini becomes only the third Indian driver after Narain Karthikeyan and Karun Chandhok to represent India at a Le Mans weekend. The 24 Hours of Le Mans is scheduled to take place from 15-16th June 2019. After a successful karting career in India, Bengaluru-based Maini has competed in numerous motorsport championships like the Formula BMW Championship, which took place in India and where he finished overall second. He then made his international appearance in the BRDC Formula 4 Championship alongside then-teammate George Russel. After a speedy rise in the single-seater rankings, Maini next set his eyes on the Formula One-supporting GP3 series and last year he moved up to the Formula Two championship, where he finished the season in 16th place for team Trident Motorsport. Besides his racing commitments, Maini is also known for being Haas F1 Team’s development driver. WEC 2017: Will the agony finally end for Toyota at the 24 Hours of Le Mans?